Matthijs combines strong conceptual and analytical skills with a creative and innovative mind. He is driven by new opportunities for organizations to drive growth. With over ten years of consultancy experience, Matthijs has supported organizations in both optimization as well as innovation in the realm of marketing, sales and customer services. Having gained experience in each of those fields prior to becoming a consultant is of great value in his practice. 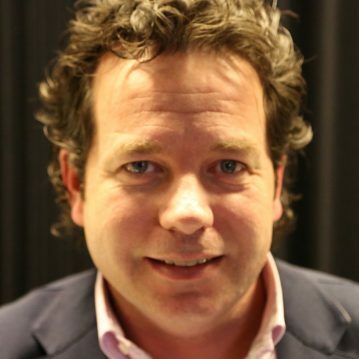 Matthijs is a sought after speaker, facilitator and expert commentator in the field of omnichannel retail as well as digital transformations. Over the past years, Matthijs has been the chairman of an expert panel on omnichannel organization for the Shopping2020 network. In his consulting practice, Matthijs has a special interest in top line growth, customer centricity and digital transformation. He has extensive experience in supporting his clients in building new business models and adopting digital initiatives to drive commercial growth. Matthijs’ innate curiosity makes him feel at ease in a wide array of subject matters and industries. Be it B2B or B2C, startup or corporate venture. Matthijs’ ability to build solid interpersonal relationships makes him a trusted sparring partner both in the boardroom as well as on operational management levels.